The GameCube in Europe ! 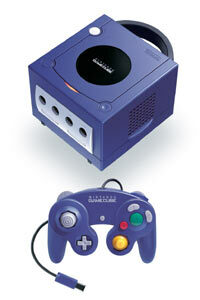 Nintendo Japan confirmed today that the GameCube will arrive in spring 2002 in Europe, likely in april or may. They will give more details about their schedule next month. 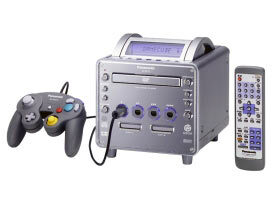 A Japanese daily also reported that 300.000 GameCube would be available for the European launch. At last a good news which should put an end to the rumors suggesting a september release. Let's just hope there'll be enough systems for everybody in every country ! At the top of this page, you can now see that the copyrights section is a link. A link that I most warmly recommand you to visit to know what is Samurai Nintendo's policy about our content and the pictures. I also corrected the name Doubutsu Bancho by removing this useless "y" between h and o. Yeah, I tell you, it's very important. I haven't updated the site for two weeks now, too much work on the other site. I will try to publish the pictures from the GameWorld soon, there are only a few bad ones though. I have other plans but it might take some time before anything new comes out. Well, well, well, I hate soccer. Unfortunately for me but fortunately for the sales of the GameCube, such games exist on the new Nintendo system. Two are coming next year, Virtua Striker 3 version 2002 from Sega and International Superstar Soccer 2002 from Konami. One has already been released in Japan, it's Fifa 2002: Road to World Cup. According to the Japanese magazine Famitsu it's a good game (got a gold award) so I guess it's not too bad to make it join our growing list of games. So here's its review. Yeah, yeah, I know there's no real review as usual, no time. But if you played this game or any of the others, write about them and send your opinion or review to Samurai N ! The GameWorld is finished and I finally played the GameCube ! Those two days were absolutely exhausting but playing the GameCube was really worth it. There were five playable games: Luigi's Mansion, WaveRace: Blue Storm, Super Monkey Ball, Rogue Leader and Pikmin. I took some pictures that should be online next week. In the meantime I added one picture and some information about the weird Doubutsu Banchyo. This one won't help to sell the Cube but it might be much more fun than some expect. Along with it, I put the list of all the characters in WaveRace. Perfectly useless ? Who cares, it was easy to do, kyahaha ! Tervetuloa Samurai Nintendoon! Tämä sivu EI ole yhteydessä Nintendoon tai GameWorld -tapahtumaan vaan toimii fanisivuna, joka tarjoaa lisävalaistusta GameCubeen ja toivon mukaan näin jatkaa matkaasi Nintendon maailmassa. GameCube saapuu Eurooppaan keväällä, ja Samurai Nintendon tarkoitus on valmistaa sinut tähän odotettuun tapaukseen! Welcome to Samurai Nintendo ! This site is NOT affiliated to Nintendo or the GameWorld event, it's just a fan site which hopes to make you discover the GameCube better and to extend your visit of Nintendo world. The GameCube will launch in Europe in spring. Samurai N is here to prepare you for this great event ! Samurai N: MASSIVE UPDATE ! - 17 new games added: Animal Forest + , The Legend of Zelda , Mario Sunshine , Doubutsu Banchyo , Doshin The Giant , All-Star Baseball 2002 , Bomberman Generation , Crazy Taxi , Dave Mirra Freestyle BMX 2 , Extreme G III , NHL Hitz 2002 , Resident Evil , Rune , The Simpsons Road Rage , Sonic Adventure 2 Battle , Soul Calibur 2  and Tony Hawk's pro Skater 3 . - New screenshots for: Luigi's Mansion [+10], Pikmin , Rogue Leader [+22], Starfox Adventures: Dinosaur Planet [+11], Super Smash Bros. Melee , WaveRace: Blue Storm [+7], Mickey Mouse [+2] and Phantasy Star Online . There are now more than 300 pictures on the site and it takes about 12 mega of space, not so bad, huh ? - I also changed and added a few things in the review-preview sections. Although I haven't played any GameCube game yet (it's going to change tomorrow hopefully), I still gave a general comment on them which is a synthesis of what I read in magazine and heard from people who played them. - When a NGC game is compatible with a GBA game (so far it's only the case of Sonic Adventure 2 Battle), I put a link to the GBA game. Unfortunately, in the case of Sonic, no preview for Sonic Advance is ready yet. - I made also many other corrections about general information, like the release dates which should now be accurate. Concerning Europe, the release of the console is still planned for spring 2002 despite some rumors of a delay for september 2002. No date has been given for the games though, consequently I didn't put any date for european releases (save Super Smash Bros. Melee which is eagerly waited). - A good news: the site is now listed in Google's directory. I guess that'll be the main way for you dear visitors to access Samurai N. If you find Samurai N listed somewhere else or in another search engine, don't hesitate to tell me by e-mail. - Well now my objectives will be to try to update at least once a month. I can't do more than this as I have some other duties on the Net. But now that I made those major changes and that I sort of found a balance, it should be easier to add new games from time to time. I want also to prepare a very decent harware section, but it might take some time... Enough ! I'm not going to bore with my plans. If you have the GameCube, have a great time, if you don't, be patient or buy one right now. See you around ! - The UK developer Rage Sofware is now officially working on GameCube games. - The Japanese developers Noise (Custom Robot) and Treasure (Sin & Punishment) are looking into the same possibility. - Capcom is developing a controler dedicated to fighting games for GameCube. No game has been announced yet. According to the same source, Shinji Mikami (Resident Evil 1 for GameCube) started to work on a new project since this september. The name is CAS Ra and it's an action / adventure game. - Konami announced Hyper Sports 2002 Winter for NGC. - Namco announced Smashing Drive for NGC. - Nintendo sold for $100 million of GameCube hardware and software on the first day of the american launch ! - Today, Friday 23, Nintendo announced all its GameCube are sold out on the US territory ! EXCLUSIVE: Pictures of some Secret Characters and Levels in SuperSmash Bros. Melee ! The Best GameCube Game is Out in Japan ! One of the best at least, but the best for all its fan. If you're one of them, you know we're talking about Super Smash Bros. Melee, expected in December 3 in USA and someday some time in 2002 in Europe... (sad). The game got a Platinium Award from Famitsu magazine and a 37 out of 40 score. Which definitely proves that it's not just an update of the N64 version but a real cult game, yes sir ! MAJOR UPDATE THIS WEEK ! Samurai Nintendo is going to update massively before saturday 24 !! In the meanwhile, if you can read French, please visit MaXoENGC, I'm chief editor of the site and I just wrote a huuuuuge preview for Super Smash Bros. Melee with almost 300 pictures. You'll know everything about the game before its Japanese release (tomorrow) and US release (December 3, 2001). It's going to be the best GameCube game of the year ! The GameCube is Out in USA ! Lucky american people, the best next-gen system shipped in their country with a bunch of good games ! Happy New Nintendo ! Sega Japan Has Visited Samurai Nintendo ! An old story that I wish to tell. When I found out about Sonic Adventure 2 being the secret game of the Sonic Team for GameCube, I first sent a message to tell about it to the Sonic Team's site, then I wrote to Planet GameCube and IGN. Planet GameCube got all the credits for MY discovery and they just said about me that I "helped them to point out the right picture" while they just took what I've been stupid enough to show them friendlily. With a bit of delay, the information was also published in MaXoENGC where I worked as an editor (I'm now senior editor). Anyway, the next day and also one or two after, I was extremely delighted to see among my visitors stats the following address: "sega.co.jp" (there were also several US addresses, probably PGC and IGN). Yep, Sega Japan visited Samurai Nintendo, isn't it great ? To think those guys far over there in Japan, in the same building maybe where they make some of the great games for our GameCube, came to visit my modestly miserable poor site, wow, what a shock ! So after all I got my reward for my effort. On one side, Planet GameCube stole my discovery and on the other Sega visited me, and who cares about PGC in comparison to such a game maker ! Sonic Adventure 2 on Game Cube: THE proof !!! It was in Sonic Adventure 2's section for Dreamcast. And unless you're blind, you should notice some """slight""" similarities with the pictures above, shouldn't you ? If you wisely do, then you agree: Thank you Samurai Nintendo for being the first ones to prove so skilfully (my modesty is dead today) that Sonic Adventure 2 is on its way for GameCube ! Directly from the arcade, Aiai the monkey and his folks help Sega to make its first step on a Nintendo home console. The game will be available at GameCube launch in Japan on September 14, 1000 yens cheaper than any other Nintendo games. Check the pictures in this new NGC preview. The preview of the coolest fighting game has been updated with new pictures (for a total of 25 ! ), a new logo title and a few more information. The only shabby screenshot of NBA Courtside has been replaced with 4 big new pictures. Enjoy. 5 magnificent new pictures, mainly from the battle of Hoth, to convince anyone who would still doubt the GameCube is THE best of all the 128 bits system. I have only one visitor. Only one visitor who comes regularly almost everyday. Unfortunately this sole visitor is me. I tried to promote Samurai Nintendo among my friends, to submit it to search engines, but no one visits it, no one wants to list it. Therefore, I'm going to make it "sleep". What does that mean ? Simply that I'm going to do what I did lately, to slow down the updates, to freeze the site until I have some visitors. It's no use to waste my time writing news for me ! When I have some time left, I'll add some GameCube and Game Boy Advance previews. Thank you to the few persons who come here and curse to all the search engines which think Samurai Nintendo is not good enough for them ! The visually promising RPG from Retro Studios has been canceled last month. Presented in video for the first time at the E3, Raven Blade could have been a great game for the GameCube. Unfortunately, Retro Studios seems to be the black sheep among second parties developers, maybe the designers are good but not the programmers. They spent a lot of time on four games: Metroid Prime, Thunder Rally, a football game, Raven Blade and finally had to stop three of them to concentrate on Metroid Prime, unable to make a decent work fast enough. So, even if it's a pity the beautiful graphics of Raven Blade will never serve a game purpose, it's much more worrying to think that incompetent company is "working" on Metroid Prime. Are they going to spoil a wonderful Nintendo's saga ? Samurai Nintendo sincerely hopes Nintendo Japan will get rid of Retro Studios and buy a better game company, worth of their talent. Raven Blade preview and pictures have been removed. Samurai Nintendo invades Helsinki center ! Today is one of our special advertisement day. 102 issues of the free Finnish magazine Nintendo News are spread in the center of Helsinki. All of them have been slightly modified: Samurai Nintendo's site address is written on each of them with a special unique (and cheap) design. Nintendo Finland / Agerex Oy might not appreciate but as they don't do a single effort to promote Nintendo products in Helsinki, someone has to do it. Your samurai just did ! Sorry, thousands of sorry ! Samurai Nintendo is a bit long to start working properly. I'm alone to take care of my baby (means the site !) and I'm busy writing articles about Nintendo in a French site, MaXoEGAMES. On top of that, I don't have a computer so I have to use some tricks... but I'll hope to become more efficient gradually, to make Samurai Nintendo roams on Internet roads. I'd like also to thanks the very few persons who come to my site, especially Australian people. I don't know how they found my site, but Samurai Nintendo is delighted to welcome them ! Mario Sunshine by Camelot ? Mario Golf and Mario Tennis, that rings a bell ? It surely does, it was Camelot's excellent sport games on Nintendo 64. The talented small developer is surely preparing something and Samurai Nintendo bets it's Mario Sunshine! What is Mario Sunshine ? No one knows, except that it was in the not-shown games list of the E3. But we assume it could be a sport game, Mario multi-sports or Mario Olympics, why not ? However, as they are famous RPG developers, it could also be a RPG. Camelot has not admited working on the game but they mentionned about it in their site. Wouldn't it be surprising they mention a mystery game which is not theirs ? The second picture is a montage of the old and final design, hope you will find interesting to compare the slight changes. Click to enlarge in a separate window. 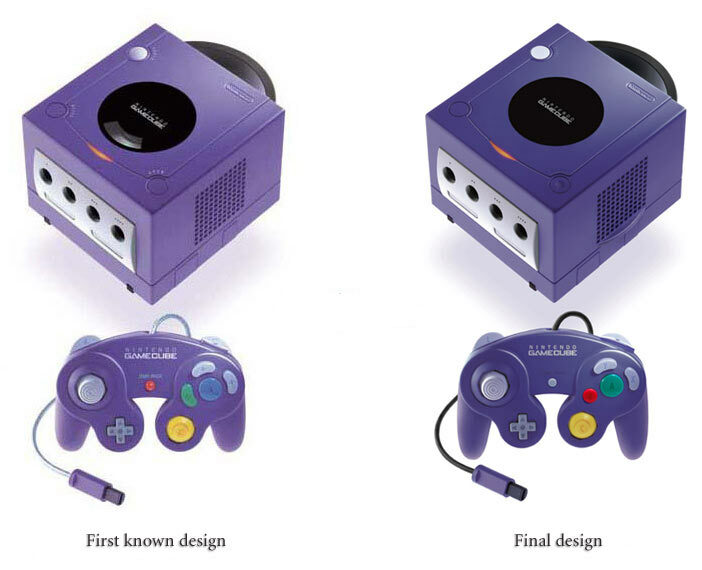 Two pictures of the GameCube and the controller. The first one shows you the final design of the console. It will not change, the machine being in production. Click to enlarge in a separate window. Following the statement published in the daily Yomiuri Shinbun, Matsushita presented at the E3 a picture of the GameCube special version which will read DVD's movies. The price is not known yet but should be lower than the competition. Here is the picture. Welcome in Samurai Nintendo ! Today is the opening day for the most important E3 (Electronic Entertainment Expo) in Nintendo history. A most important event is expected by all the fans over the world: the unveiling of the top-secret games of the well-named GameCube. It's also the birth of Samurai Nintendo, a new site entirely dedicated to Nintendo next generation systems: GameCube and Game Boy Advance. Making this small site is a big task, keeping it up is going to be even more difficult ! However, I hope to be here with you to follow the most exciting steps in the life of Nintendo's new systems. And now, let the show begin... Los Angeles, E3, Game Boy Advance, GameCube, games, games... NINTENDO !! !